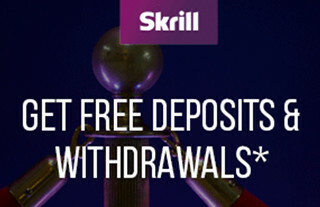 Let’s assume that by now you have setup and deposited your bankroll into a Skrill Moneybookers eWallet, you are using the real-time BetOnValue alert service (or free BetBrain website) and have become comfortable with paper-trading arbs. Let’s also assume that you have identified your preferred initial bookmakers, have registered accounts with them, and deposited your bankroll from your eWallet into the bookmaker accounts. Now, when an arb is alerted to you between your two funded bookmakers you are in a position to execute the arb. Below we explain the checks that you should perform after being alerted to an arb, the subsequent process of lining up the bets at each bookmaker, the placing of each bet and the preferred order of placement, and the post-wager logging of arbs. With a little experience, the average arber will take less than 45 seconds to perform the checks and line up the bets, another 15 seconds to place the bets, and less than 60 seconds to log the data after execution – all up less than two minutes per arb. Check 1: What percentage is the arb? Is it worth the effort? Alert services allow you to filter out any arbs over a given percentage. Sports Arbitrage Australia recommends filtering out any arbs greater than 10% to avoid wasting time on almost certain palpable errors. Alert services also allow you to sort arbs in various ways, the most common sorting is from highest-to-lowest percentage. So, if your alert service is ranking arbs by profit percentage you should take the arb at the top, right? Not necessarily so – the arb ranked first is not always the most profitable in total. bookmaker limits affect the total profit of an arb – it is more profitable to take a 0.5% arb where you can bet $2,000 at each bookmaker, than take a 1.0% arb where you can bet only $200 at each bookmaker. High betting limits allow more funds to be wagered, resulting in higher profits per arb. These two concepts might seem odd at first, but quickly become instinctive with experience. Check 2: Could the arb be a palpable error? If you are using a good quality arb-finding alert service and the profit percentage is under 3% then chances are it’s a valid arb. You should still perform cursory checks to ensure the arb isn’t a palpable error, however you wouldn’t expect these checks to highlight anything unusual. If an arb is greater than 3% then you should be wary of a palpable error and be careful before jumping in feet first. 3%+ arbs do exist, but it’s on the high end of the arbitrage scale. Check that the odds are not wildly different to other bookmakers; check that odds have not been mistakenly swapped on handicaps or over/under; check that all bookmakers agree on the favourite. If you suspect that any leg of an arb could be a palpable error then leave it alone – be safe, not sorry. For more information about spotting and avoiding palpable errors, refer to our earlier lesson on mitigating risks. Check 3: What sport is it? 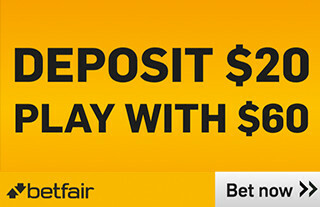 Does it involve mismatched bookmaker payout rules? NB: If the arb is on tennis, baseball, ice hockey, or basketball then this extra check is needed. On these four sports the bet payout rules can vary across bookmakers, and arbing between two bookmakers with opposing rules can be risky. For example, all bookmakers have different rules for tennis payouts – specifically at what stage of a tennis match a wager is declared ‘complete’ if a player retirement occurs. Similar rule mismatches exist in baseball, ice hockey, and basketball. The risk is that one bookmaker can void the bet (returning your money), and the other will consider the bet as ‘completed’ (paying your winnings on a winning bet; or keeping your wager on a losing bet). This is effectively keeping an open position… or gambling. A good arber is aware of this issue, and maintains a table of common rule mismatches for quick and easy reference. If the arb is across two bookmakers with mismatched rules then we recommend not taking the arb – be safe, not sorry. Our later lessons cover each of the sports bookmaker rule mismatches in greater detail, and provide bookmaker summary tables for each of the affected sports that you can use to ensure arbs are risk-free. Print these tables off, stick them to your wall for quick reference, and check them before placing any bets. A good quality alert service will link you directly to the specific betting pages of each bookmaker, allowing you to place the bets with expediency. The BetOnValue service certainly does this. If your alert service doesn’t link directly to the proper betting pages then you will need to manually open the bookmaker’s website and navigate through to the appropriate pages – this will consume valuable seconds and is not conducive to efficient arbing. Open up each of the bookmaker’s betting pages in a new tab/window, separate from the alert service (i.e. you should have three internet tabs/windows open now – your alert service, bookmaker 1 and bookmaker 2). In a later lesson we discuss the option of arbing with multiple monitors – it’s easy to see how this can be beneficial at this stage of betting. Next, triple-check that the details per your alert service agree to those on the bookmaker websites. Check that you have the right sports, the right leagues, the right teams, the right lines (for example 1X2, Asian handicap, over/under), and that the arb covers all possible outcomes of the match. All alert services have built-in arb calculators to do the grunt work for you. Your job is to find out at which bookmaker your most restrictive betting limit is, input that limit into the calculator, and let the calculator tell you how much to wager at each bookmaker. 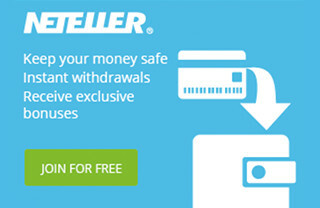 the available funds in your bookmaker accounts. So how do you find out what maximum betting limits are being imposed on you by the bookmakers? 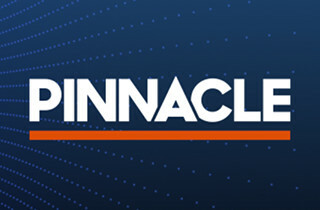 Pinnacle Sports makes life easy – after logging into your account your betting limit is displayed at the top of every betting page. Australian bookmakers, on the other hand, make life a bit trickier. if it is denied then they will tell you what your betting limit is and you can input your limit into the calculator. Now that you know what each bookmaker’s betting limits are, you can easily see if you have enough funds in both accounts to place the bets. If you are short of funds at either bookmaker then you will need to readjust your inputs in the arb calculator before moving to the next step… placing the bets! 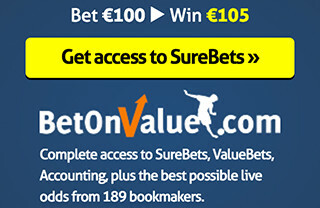 Once the arb calculator provides you with the wagers for each bookmaker, you need to enter these amounts in the respective bookmaker bet slips and hit the ‘submit’ button. Note that this does not actually place the bets – every bookmaker employs a double confirmation mechanism such that after you ‘submit’ a bet you are taken to the next page where you can ‘confirm’ your bet. Only on ‘confirming’ a bet does the bet get placed. 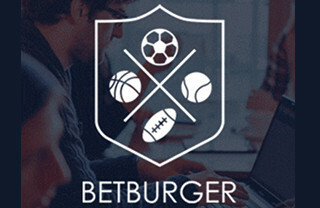 You are now at the stage where you’ve taken all the bets through to the bookmaker confirmation pages, and you are one mouse click away from placing each bet. The next step is simply ‘confirming’ each bet, but if you get the order wrong and your second bookmaker declines your bet you can be left with an open position. So how do you ensure that the second bookmaker doesn’t decline your bet? You should ‘confirm’ the bet first at the bookmaker that you are least certain will accept the bet. Usually this means ‘confirming’ your first bet with the Australian bookmaker and your second bet with Pinnacle Sports, because Pinnacle Sports will always accept your bets if you have already checked you are within their betting limits. Having said this, there is a very small chance before ‘confirming’ the Pinnacle Sports bet second, that the odds offered move against you (they are a fast-moving sharp bookmaker after all). The odds move won’t be substantial and most times you can readjust your calculator inputs for the new odds, change the wager amount at Pinnacle Sports, ‘re-confirm’ the bet, and still walk away with a positive arb. Assuming the bet confirmations went smoothly you should be able to sit back and take a deep breath. Now is the time to record all the bets and arb information while it is fresh in your mind. You should create a spreadsheet (if you haven’t already got one) and enter all of the pertinent information from this arb into it. Alternatively, there are many software packages in the market that you can use to track bets, but Sports Arbitrage Australia found that a simple Excel spreadsheet is more than adequate. ultimately, which bet was the winning bet and actual profit realised. total profit generated from arbing. Re-read the bet confirmation pages. Do the bets line up? Are they on the same sport, league and match? Are they on the same betting lines and do they cover all possible outcomes in that market? Are the confirmed odds different to what you expected? Do the bets result in a guaranteed profit per your spreadsheet? You would have performed these checks before placing the bets, but you have a clear head now and if you have made a mistake there is no better opportunity for you to go back and fix it than right now.